Oh my goodness, how long has it taken me to write this? 7 months!! I am a bad blogger! But there it is. So, in January we're going to Iceland for our official honeymoon but we did want to take a 'minimoon' away from the hustle and bustle and to relax after Christmas and all the wedding planning. 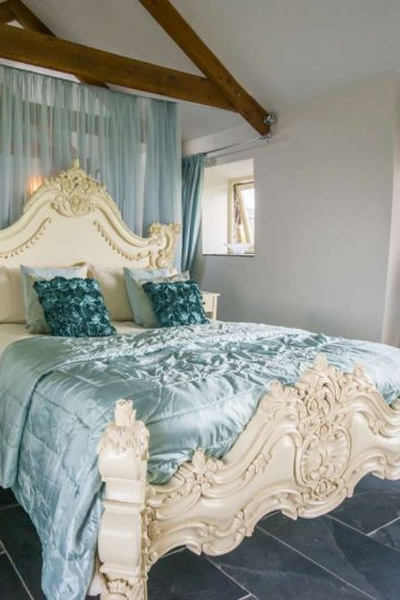 After a lot of searching across all sorts of gorgeous cottages and holiday homes across the South West coast, we stumbled upon Kymaurah Cottages, overlooking Lamorna in Cornwall. 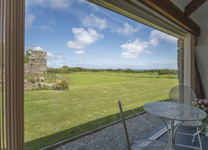 We quickly booked a four-night break and then I spent the rest of the year checking the website and looking at the beautiful pictures of our cottage, Lamorna View. We arrived late on 31st and were greeted with beautiful, personal touches: chocolates, champagne, and a lit log burner. 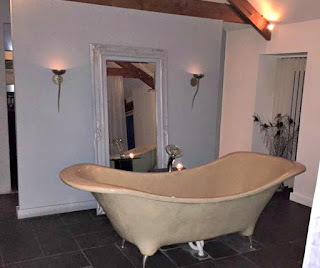 Despite it being wet and cold, we jumped straight into the hot tub and watched the stars before exploring the rest of the cottage: huge comfortable bed, big copper bath, floor lit bathrooms - it was idyllic. The best bit? The cottage was at the very end of a dirt track, so once we were in and snuggled up away from the cold and rain, we didn't want to leave. Apart from popping out to get food on 1st we mostly stayed in and chilled: luxurious naps on a bed that was as comfortable as a marshmallow with a giant picture window overlooking the gorgeous Lamorna cove, watching films curled up in front of the log burner and sipping prosecco in the blissful hot tub - Can you believe I didn't really want to leave? We did take some time out of all the relaxing to get massages at a hotel in St Ives (about 8 miles away) and on the penultimate day, when the sun did make an appearance we went on the 20-minute walk to Lamorna cove and had a lovely Sunday lunch at the local pub. Perfect. I am desperate to go back, maybe in the summer so we could enjoy some more of the local area but there is definitely a lot to be said about visiting in the winter when you don't have to make an excuse for staying cuddled up and doing a whole lot of nothing!! Images courtesy of Kymaurah Cottages.